With default settings, Windows 10, like previous Windows versions, displays date and time on the right-side of the taskbar. 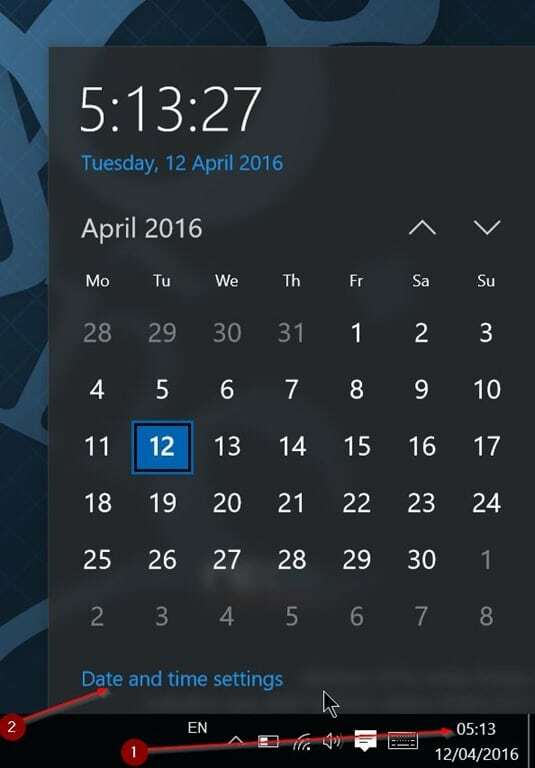 Clicking the date and time reveals the clock and calendar flyout. This morning I noticed that the clock in Windows 10’s taskbar was showing incorrect time. At first, I thought the incorrect time is because of changed time zone but later on found that the time zone settings were also perfect. 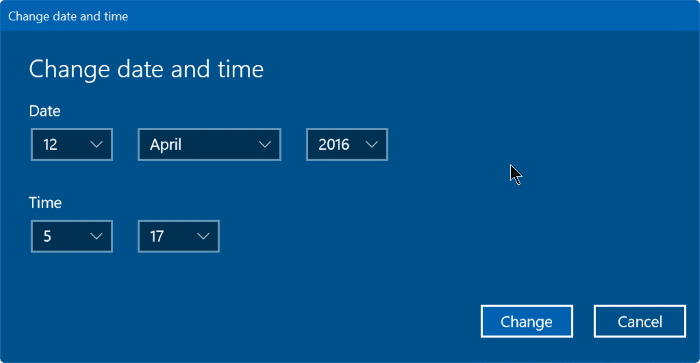 If your Windows 10 PC is also showing wrong date or time or both, the following solutions should help you resolve the incorrect date or time issue. Step 1: Click on the clock in the taskbar to open the flyout, and then click Date and time settings link. Step 2: Click Date & time to see all date and time related settings. Step 3: Under the Time zone section, make sure that your time zone is selected. If not, select a right time zone from the drop-down menu. No restart or sign out is need to apply the change. If the time zone is set to your time zone, please follow the directions in the next method. Step 1: Click on the clock in the taskbar and then click Date and time settings link to open Settings. Step 2: Under Date and time section, turn on the option labelled Set time automatically, and check if Windows 10 is displaying the correct time now. 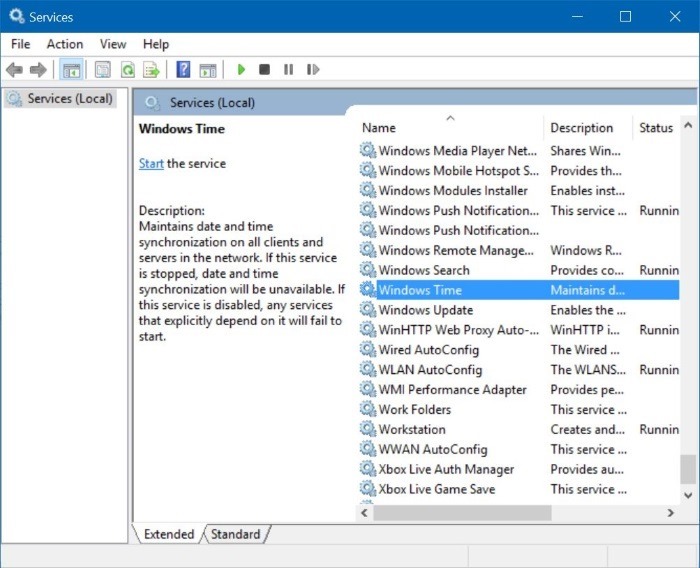 When this option is enabled, Windows 10 automatically synchronizes with an Internet time server. Step 3: We recommend you turn off Set time zone automatically option if you haven’t turned on location service. The Set time zone automatically works great only when your location is available. So if you have turned off location service to improve privacy, please turn off Set time zone automatically option. Step 1: In the Start menu or taskbar search box, type Services.msc and then press Enter key. 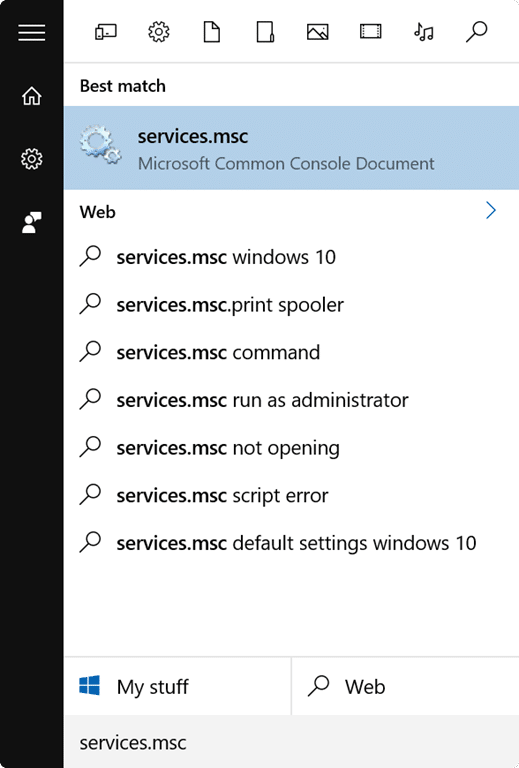 If the search is not working, please type Services.msc in Run command box (use Windows logo + R hotkey to open Run) and then press Enter. 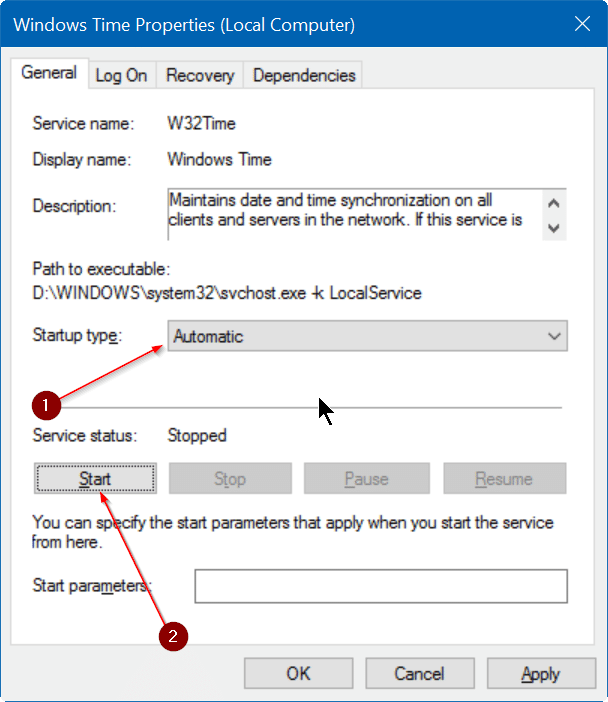 Step 2: Once the Services window is launched, look for an entry named Windows Time. 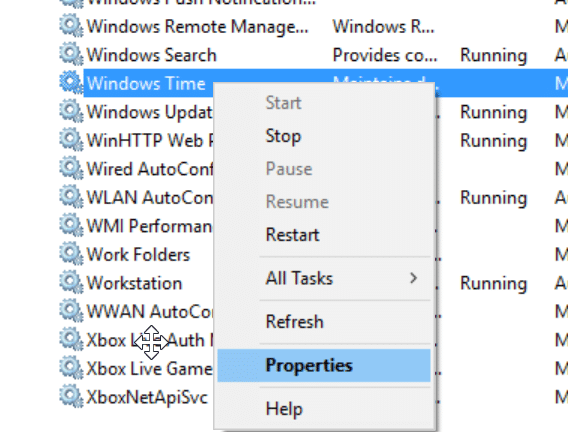 Step 3: Right-click on Windows Time entry and then click Properties to open properties dialog. Step 4: Under the General tab, select Startup type as Automatic, and click Apply button. Step 5: Finally, click Start button to start the service, if not running already. If above solutions are not helping, you could try manually setting the date and time. 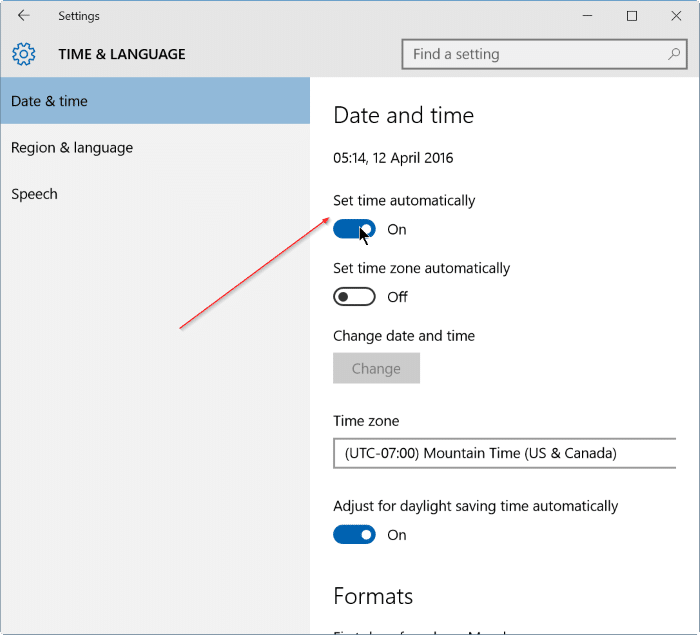 Follow the given below directions to manually set the date and time in Windows 10. Step 1: Click on the clock in the taskbar to open the flyout, and then click Date and time settings. Step 2: Under the Date and time section, turn off the option labelled Set time automatically. Step 3: Click the Change button, and set right time and date. That’s it! NOTE: If you want to see the time in 12 or 24 hour format, please refer to our how to change the clock to 12 or 24 hour format in Windows 10 guide. If none of the above solutions helping you to fix the incorrect time on Windows 10, the issue could be because of drained CMOS battery. You will have to replace the CMOS battery and set the date and time again. Please search the web or refer your PC’s user manual to know how to replace CMOS battery. Method #3 was the solution. Thank you so much. Found out mine was disabled, so method three worked for me. Don’t know how it got disabled to begin with though. Thanks for the help.